OM the Home: Spring Cleaning Your Way to Green! It’s that time of year – SPRING CLEANING! Today, we’re talking about a real top to bottom swipe over your entire home. But, before you pull out all those bright blue and green bottles of potent liquid, you may want to consider this. Have you ever wondered why – when you unscrew the cap of your trusted cleaning product and take a whiff – your eyes water and your nose feels all tingly? This is because these cleaning products are typically solutions containing: ammonia, detergents, solvents and other chemicals that have been proven to be hormone disrupting, lung damaging and toxic to both humans and the environment. Many are poisonous when ingested and can be harmful to inhale or touch. And, if it contains a name such as spring meadow or summer rain you can bet your scrubby brush that it contains a synthetically fragranced cocktail loaded with dozens of unnamed chemicals. The US Government actually allows manufacturers to hide hundreds of known toxic chemicals in this one ‘trade secret’ ingredient: fragrance. I dunno about you, but I think that stinks! When all of these chemicals that are harmful to you and your family make their way down the drain, they end up in the local wastewater plants (which are designed to remove bacteria, not toxic chemicals) and are eventually returned to our water supply. Hang on to your rubber gloves! I bet you did not know that the “toxic sludge” that is left behind is then sold as “natural fertilizer” to local farmers. Oh. Em. Gee! LOOKING FOR A GREENER CLEANER? We hope you will turn over a new green leaf in 2013, and toss your traditional, chemical-laden cleaning products (to your nearest household hazardous waste drop-off, of course) and check out my avaHOME collection. Earth Day is April 22nd – what better time to switch to green cleaning products? We offer safe and highly effective Glass & All Purpose Cleaner, Hard Surface & Bathroom Cleaner, Laundry Detergent Pods, Dishwasher Detergent Pods, concentrated Dish Soap and ‘Green & Clean’ Microfiber Cloths to eliminate paper towel waste. As always, our products contain no synthetic dyes or fragrance, no chlorine or phosphates, no optic brighteners, no triclosan, no SLS or PEG’s, no petrochemicals, and of course we never test on animals. avaHOME is just as tough on dirt as conventional cleaners and will leave your home sparkling brighter than ever before; sans any VOC’s (volatile organic compounds) to breathe in or ingest. Check out all of AVA’s lines of home and personal care products HERE. Cleaning my house today with all Ava products!! Love the way it smells and always pleasantly surprised at how clean everything is! Love avaHOME!! I love that Ava cleaners are safe enough for even kids to use! Love the avaHOME! all i’ve used in the past 3-5 years is water, baking soda & the cleanest dishwashing liquids/detergents i could find…so nice to have safe clean chemical free cleaners…makes spring cleaning fun!!! OH and my pulmonologist gave me a downgrade from “severe asthma” to “WOW I’ve never seen this before…not a trace of irritation!” since switching me and my family and house to Ava products!!! This is fantastic Ginger!! Thanks so much for sharing :) We see this so often. Many people with asthma are still using toxic cleaning products and don’t realize this one, simple switch can change everything! Love how effective the ava cleaning products are. They also make the house smell amazing. My favorite part of using these products is knowing that my 4 year old is safe. Ava All purpose cleaner is the only product my friends husband will use on his motorcycle…cleans it better than any other product he has tried ! 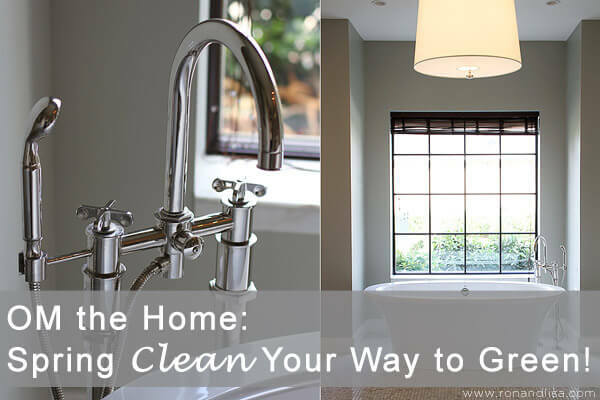 Nothing feels better than making your home clean and tidy WITHOUT toxins! My stainless steel looks so nice after using the Ava bathroom cleaner spray and the microfiber cloth. Amazing! Can’t wait to try the avaHOME products! I love AVA cleaners! No more toxic headache AND they work! Love the Ava Cleaners! My 4 year old daughter loves “to help” me clean and now I let her because I know the products are safe!! Thank you not only for a safe product but also one that REALLY WORKS!! I LOVE avaHOME cleaners! These products constantly surprise me with all the multi use applications. Also before finding ava cleaners and making the switch, I never released how stinky my conventional products were until I was cleaning my mom’s kitchen with her cleaners and actually got a little headache (which I had never paid attention to before ava.) Needless to say my mom now uses ava cleaners too. Thanks for the post Ron and Lisa. I love Ava’s cleaners! I couldn’t believe how clean the dishes came out after using the dish pods – no residue or cloudy chemicals left behind. The spray cleaners smell so nice and have antibacterial/antiviral ingredients in them. AND it’s so much nicer not having to open the windows to vent the fumes from spring cleaning!